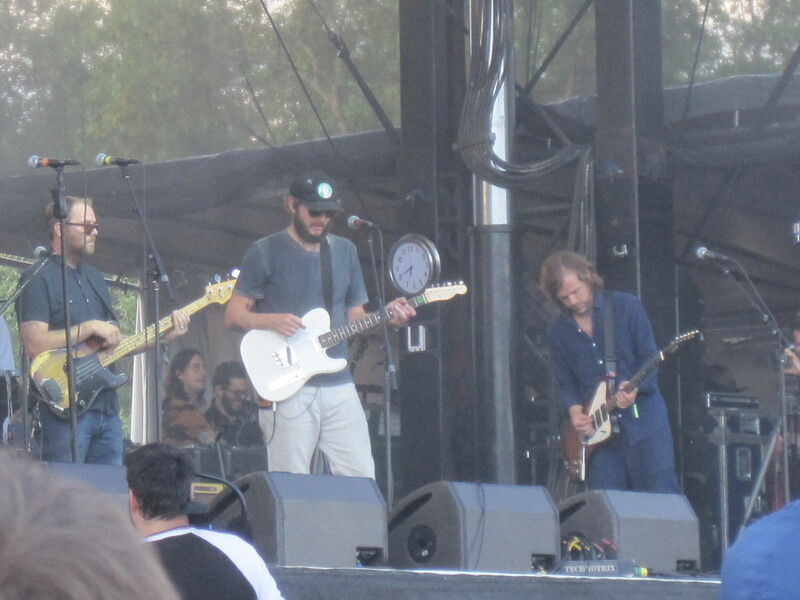 Justin Vernon, left, and Aaron Dessner perform during a Day of the Dead celebration at the second Eaux Claires festival in August 2016. It’s time to return to the river in June. The Stratton Setlist will attend the third installment of Eaux Claires, a two-day music festival curated by Bon Iver’s Justin Vernon and The National’s Aaron Dessner. Known as “Troix,” the Eau Claire, Wisc.-based music festival announced its eclectic lineup of musical legends, indie rockers and emerging artists Thursday for the June 16-17 event at Foster Farms along the Chippewa River. The lineup includes Bon Iver presenting John Prine & The American Songbook, which will feature several special guests paying tribute to country/folk singer-songwriter. Another festival highlight will include Paul Simon collaborating with chamber ensemble yMusic to reinterpret his iconic songs with contemporary classical music. The lineup also features Feist, Sylvan Esso, Wilco, Tweedy, Chance The Rapper, Danny Brown, Perfume Genius, This Is The Kit and more. A group of “Artists-In-Residence” will showcase “a cast of individual performers assembled, ready to jump in and contribute their talents to announced and unannounced performances spread across the entire festival weekend, whether fully rehearsed or improvised,” according to the “Troix” Eaux Claires music guide that arrived in the mail today. Vernon, Dessner, Bryce Dessner, Jenny Lewis and The Staves will be among the “Artists-In-Residence” at this year’s Eaux Claires. Finally, Vernon, Dessner and members of Wilco will introduce several side projects ranging from The Autumn Defense to Big Red Machine to Cup to Francis and the Lights. To purchase tickets, visit the Eaux Claires website.